Workshop demonstration and Q&A session focused around their new Hunter Wheel Alignment equipment. 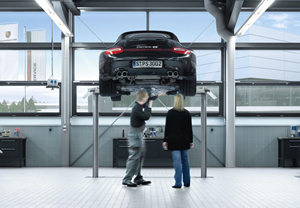 Discussing the importance of the correct adjustment to all ten steering and suspension settings of a Porsche in order to maximise dynamic handling, while minimising tyre wear and fuel consumption, the PCSS team will be available to provide feedback to your questions around optimised geometry settings whether it be for the road or track. Also on the agenda will be a discussion to demystify the operation and functionality of the multitude of electronic driving aids fitted to a modern Porsche. Register your attendance for the June meeting by Friday 5 June to be in the running for a complimentary wheel alignment on the night. Parking is available on directly out the front of the dealership. The clearway on the opposite side if the road ceases at 7:00pm. There is additional parking on Ellis Avenue and Birmingham Road (behind the dealership).